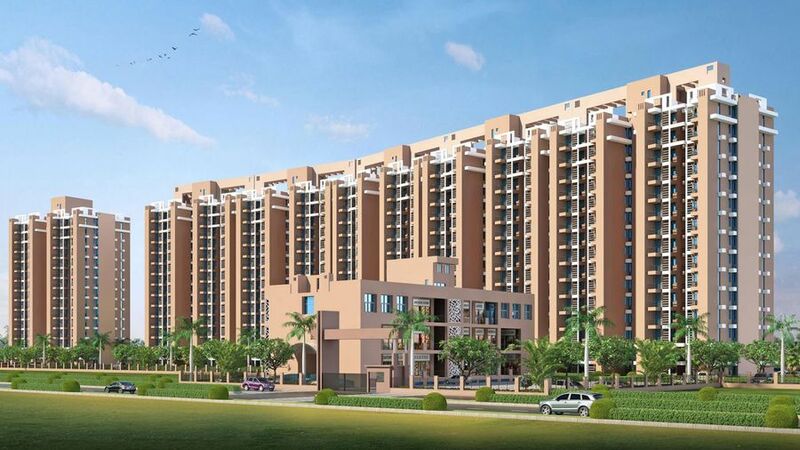 Pareena Om Apartments, a new affordable housing project in Sector 112 Gurgaon near Dwarka Expressway. The project planned in 5.025 acres of prime land surrounded by residential and commercial projects. It offers spacious 1, 2, and 3 BHK flats with the extravagant amenities. There are about 188 units of apartments going to build in the structure within 3 towers. Further, Pareena Om Apartments sector 112 Gurgaon going to develop in 70% green area of beautiful land. It will allow it to be the best with eco-friendly behavior. And, it stands for the company vision of encouraging sustainable living in society as well as the mission of enduring luxury experience. All the above are available with various amenities like a gazebo, elevators, creche and so on. Along with these, there are some general highlights accessible. The location of Pareena Affordable Sector 112 is one of the key selling points because it has a very short distance from Delhi, Dwarka Expressway, international expo center, and upcoming diplomatic enclave. Also, it takes only 15 minutes to reach IGI airport and 10 minutes to Gurgaon Railway Station. Talking about basic needs, hospitals like Metro Hospital & Heart Institute, education institutes, malls are located nearby. The allotment will be done on the basis of a lucky draw system against the application filled with each type. The draw date will be released by HUDA and draw results will be announced by the builder in the presence of government officials. Rs 4000/- sq.ft. for carpet area and Rs 500/- sq.ft. for balcony area.